Note: This review contains some MAJOR SPOILERS so if you don’t want to know plot details, please skip this section. And the year of disappointment continues. 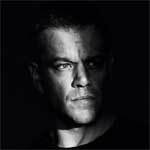 After the box office, as well as critical disappointment that was The Bourne Legacy (though I enjoyed it), when it was announced Paul Greengrass and Matt Damon would reunite (for the fourth time following Supremacy, Ultimatum and Green Zone), I was looking forward to Jason Bourne, even if I wasn’t wild about the title. But by film’s end, I’d titled it The Bourne Clichés as it more or less reuses the tropes that the Bourne franchise began. 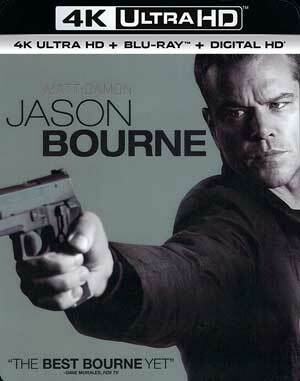 The plot in this installment is more or less the same as the previous films: Jason Bourne (MATT DAMON) is basically a nomad, wandering the lands making money via street fights where he easily beats his opponents with one punch and in an instance, even takes a punishment before a TKO. 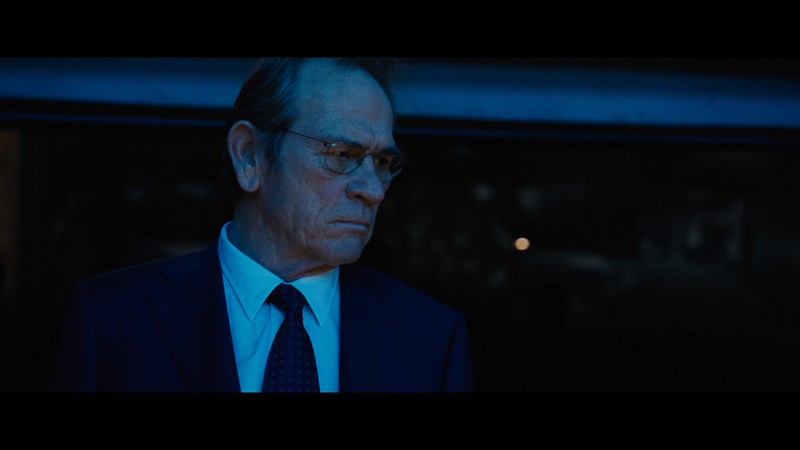 He’s thrust back into the focus of CIA Director Robert Dewey (TOMMY LEE JONES) when former analyst Nicky Parsons (JULIA STILES) hacks into the agency files and learns his father, Richard Webb (GREGG HENRY), was in fact the originator of Treadstone, the black ops program responsible for Bourne’s very existence. 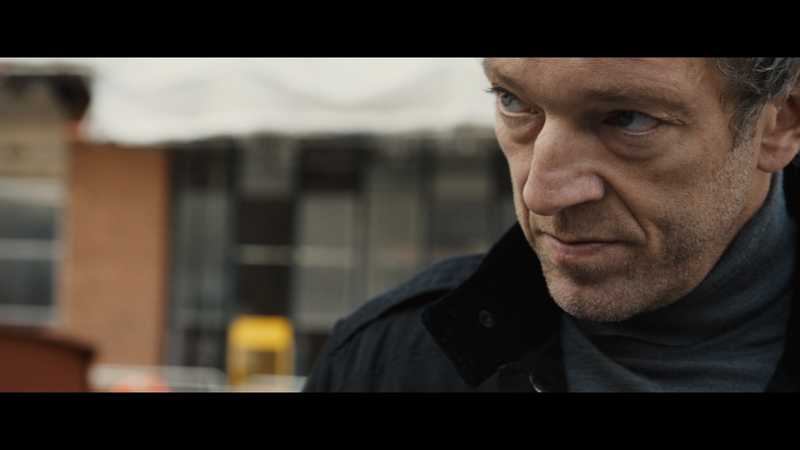 After a lengthy motorcycle chase through a protest filled Athens, and resulting in Nicky getting killed by a CIA “asset” (VINCENT CASSEL), she does manage to give Jason a key to a locker which contains the hacked info. Unbeknownst to Jason, however, the files had maleware installed by Dewey’s underling and protégé, Heather Lee (ALICA VIKANDER), and they’re able to trace his location despite being in an apartment occupied by a supposed master hacker referred numerous times but only seen once and never again in the film. Oh, and there is a quasi B-plot going on involving Dewey and his involvement with Aaron Kalloor (RIZ AHMED), the CEO of a mega social media company (along the lines of Facebook I suppose). The CIA and this company are secretly in cahoots to use the social media to track hundreds of millions around the world under the guise of national security. I was struck by how… distant I felt while watching Jason Bourne. Even though there was seriousness to the previous installments, the first three anyway, there was at least an awe and fun factor with the action scenes. Take for instance in The Bourne Ultimatum, which is currently airing on HBO as I write, there is a sequence in which Bourne, investigating at a CIA outpost, confronts Nicky who is stationed at this office, and backup will be there in an hour, Nicky reveals to Jason its 3 minutes away. Thinking ahead, Bourne phones the Italian police that there are American gunmen on site after which he and Nicky make their escape just as backup arrives who are then detained by the authorities. This scene is not only serious and suspenseful and yet a lot of fun. Ultimatum, as in Identity and Supremacy, featured some well choreographed fight scenes and compelling villains: where Chris Cooper, Brian Cox, Joan Allen (though she became a quasi-ally) and David Strathairn were fantastic foils for Bourne — not to mention the assassins sent after him (portrayed by Clive Owen, Karl Urban, Marton Csokas and Edgar Ramirez) — this go around we get a haggard Tommy Lee Jones and Vincent Cassel, neither of whom could hold a candle to their predecessors. Then you have on-the-rise actress, and Academy Award winner, Alicia Vikander (The Danish Girl) whose character at least had some dimension and yet she appeared to be fighting putting on a convincing American accent. Now, as a character, Jason Bourne isn’t anything spectacular and in some instances, could be a tad bland and not all that comparable to James Bond who at least had some cool gadgets and beautiful women whereas Bourne relied on intellect and had two semi-romances (although with Nicky, the filmmakers did a bad retcon with her and there was no payoff with this film), and both of those ladies ended up shot by an assassin, talk about bad luck. But despite a so-so character, Matt Damon at least brought some charm and intrigue with the character however here, it looked tired and, frankly, uninvested; I wouldn’t go as far to say he phoned it in (unlike Jones and Stiles), but it seems clear his interest in the character perhaps has waned in the nearly 10 years since Ultimatum. 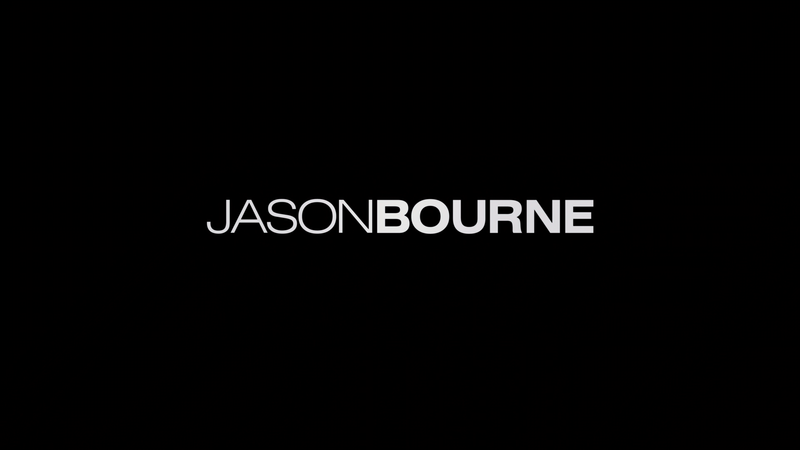 Along with Damon, Jason Bourne also sees Paul Greengrass return to the director’s chair and his trademark style and although I didn’t have an issue with the shaky cam in his previous efforts (including United 93), it was entirely too much. I’m not sure if it was to mask any production or stunt issues but there were times the style was utterly distracting and in a couple instances, such as close-ups of a text message, you couldn’t even read the text! In the end, Jason Bourne is a shell of its former self. Where the first three were serious but fun, this is just too serious with absolutely no fun whatsoever. The performances are half-baked especially on parts of Damon, Lee and Stiles and the screenplay, written by Greengrass and his longtime editor, Christopher Rouse (marking his writing debut) were missing Tony Gilroy’s sharp and precise storytelling and Greengrass/Rouse appeared merely trying to copy and failing big time. Bringing Back Bourne (8:15; HD) — Actor/Producer Matt Damon, Producer/Co-Writer/Director Paul Greengrass and others (including Julia Stiles, producer Frank Marshall) discuss how they brought a beloved character back to the big screen. It’s a short featurette with some behind-the-scenes footage. How Damon introduces it, and other features, makes me think it was originally supposed to be a U-Control-like feature. Bourne to Fight (18:13; HD) is a three part featurette (Bare-Knuckle Boxing, Close Quarters, Underground Rumble) breaking down the fight sequences like the finale between Damon and Vincent Cassel. The Athens Escape (5:37; HD) – Damon, stunt coordinator Gary Powell and second unit director Simon Crane discuss the challenges of shooting a chase sequences through cramped city streets (FYI the sequence was shot in Tenerife in the Canary Islands standing in for Athens). Las Vegas Showdown (14:59; HD) looks at two parts of the sequence: Convention Center Chaos and Shutting Down the Strip, both providing behind-the-scenes footage on how each were filmed. So all told there is 47 minutes worth of material, not too bad but nothing spectacular either. 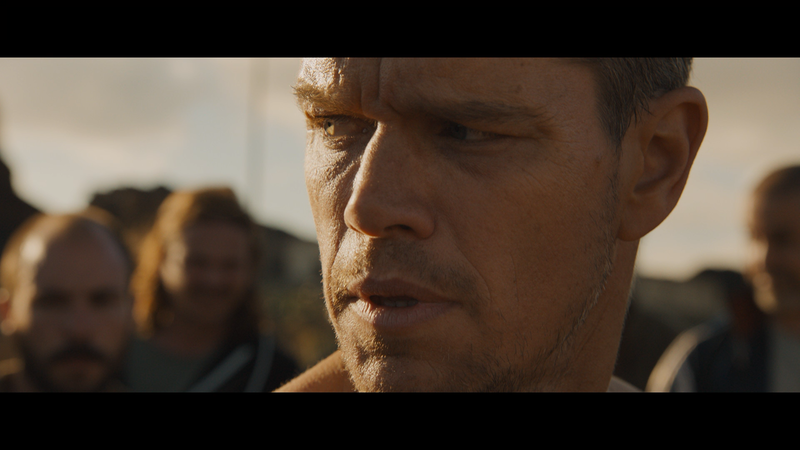 Universal releases Jason Bourne onto Ultra High-Definition presented in its original 2.40 widescreen aspect ratio and given a massive 2160p UHD (HEVC/H.265 codec). 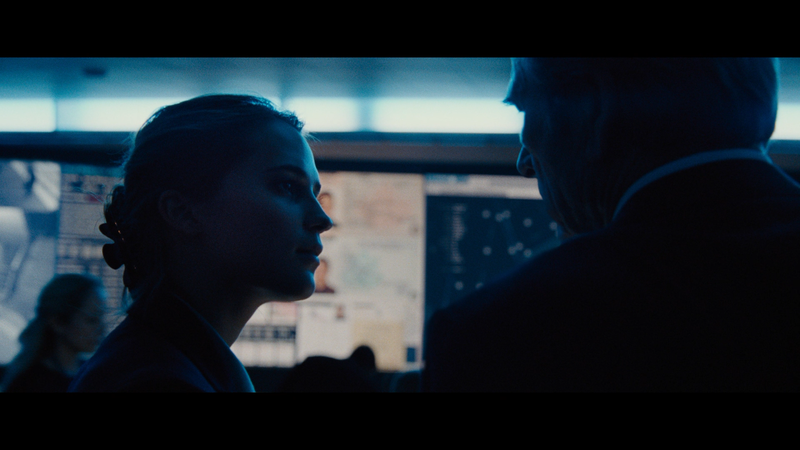 Despite the shaky cam, detail still is sharp and well defined throughout while colors are fairly vibrant in some respects (there were plenty of blue hues in some shots, especially any involving the CIA) while others are a bit more naturalistic. There is a heavy amount of natural looking film grain which is in keeping with the previous movies in the series. The Blu-ray meanwhile (MPEG-4 AVC codec and 1080p high-definition resolution) is more or less the same, just not quite as sharp compared to its UHD counterpart, yet for anyone who have not upgraded will still find this to be more than satisfactory. 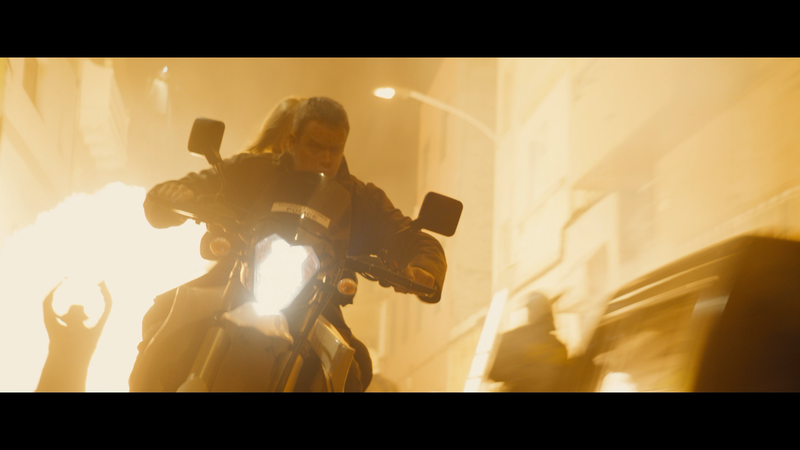 The movie comes with a robust and strong DTS: X track (decodes to DTS-HD MA 7.1 for older systems) and if there’s any film franchise that can benefit from this new format, it’s Bourne. The action reverberates through each and every channel while the front speaker utilizes central action plus any dialogue which comes across crisp and clear and rear channels are relegated for John Powell’s score (reusing much of the same themes). Overall, Jason Bourne had plenty going for it seeing the return of Matt Damon and Paul Greengrass after nearly a decade but what we got instead was a pretty much disinterested party involved and a half-assed script that seems to be a cliché of its previous movies and offers nothing new to the franchise and perhaps even less as there’s absolutely no fun in spite of some a decent Las Vegas car chase, but again, not much fun in it. This 4K UHD release by Universal offers up some so-so bonus features but excellent video/audio transfers.